[September, 2015] Finally I emptied a bottle that I bought for 65 Euro in May, 2015. 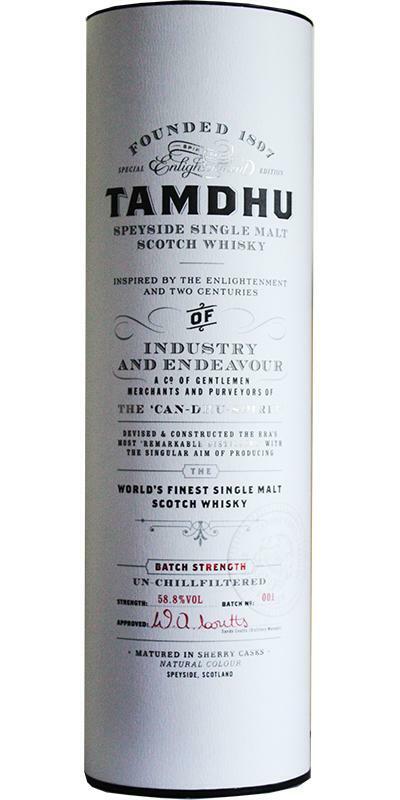 A great Tamdhu version of batch strength, they used to come out like that and then sent to Glasgow where they got chill filtered and reduced to 40- or 43%. There's a good balance between de nose and palate. Some water makes this one more accessible. Very fruity and intense whisky. 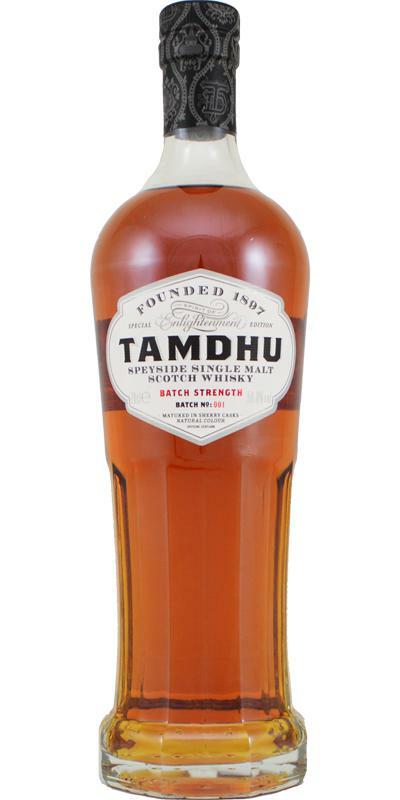 For me these Tamdhu Batch Strength batches are in the same league as the A'Bunadh's. Some cleae sherry notes, prunes, raisins, strong alcohol. Spicy as well, cinnamon. Nuts and honey. Very strong, tingering, spicy, pepper, cinnamon. Sherry notes, like prunes, raisins, honey, coffee, chocolate. Very intense. Still very tingering and warming, prunes, honey, some chocolate, coffe, tobacco, long finish. Very first-fill-y, not all that old and consequently a bit brash and uncouth, but (and bear in mind that this is a big "but") this is by far the best of the three batches that have been released so far. Nice sherry nose; fruity and nutty at the same time. Beneath that, citrus, cookie dough, and baking spices. 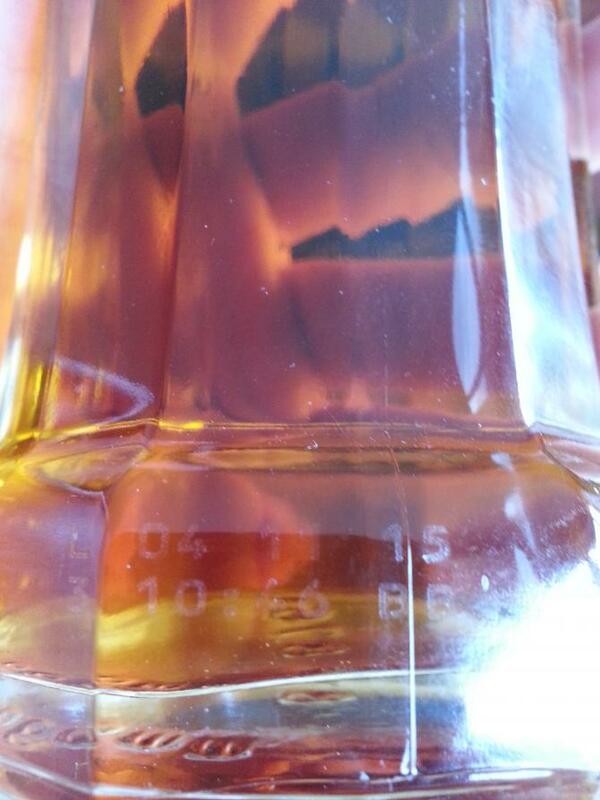 Lastly (and very faintly), a hint of florals, perhaps due to the use of sherry-seasoned casks made from American oak. The nose is a real crowd pleaser. The palate faithfully reproduces what the nose already announced: a sherry bomb with some fresh, fruity, floral Speyside characteristics. Definitely front-loaded; pretty much the whole experience takes place initially and then keeps on reverberating, with few new elements joining in at later stages. Some additional aging would've been nice, but (again:) this inaugural batch is certainly the best and most mature of the three CS batches they've put out so far. Worth it if you can get it for under 60 €, I'd say. The recent Glendronach cask strength releases, which are similarly priced, have the upper hand here for sure though. Superior spirit, it's as simple as that. Excellent came out, the young sherry monsters, in line to the Abunadam, and the CS releases of Glendronach, while having its own face, personality; very vigorous and mobile, dry, wonderful work with the fortress, very pleasant product with a sane price tag. Restrained, raw, dried fruits - raisins, prunes; mushrooms, a little mold, ink, wine notes, blackberry ash, window putty, soy sauce, raw wood. Thick, powerful, oak framed with sherry derivatives (sherry rather dry) - burnt crackers, dried mushrooms, inks, leavard, dark beer; vollna lemon and pink pepper, very vivid and cheerful. Spicy, full-bodied, dried mushrooms, dried fruits, orange and lemon peels, marshmallow candies, mint, spicy oak, very refreshing and invigorating.